The Man of the Year Committee has given a unanimous nod to Bob Pantano ’67 as the recipient of this year’s distinction as The Millay Club’s 2002 Man of the Year. Bob is indicative of why the Man of the Year Award was created: to recognize an alumnus who has given of himself for the good of the school and alumni within the current year and has distinguished himself as a leader within the alumni. Bob’s contributions to the Millay Club and his can-do spirit exemplify the criteria for Man of the Year. 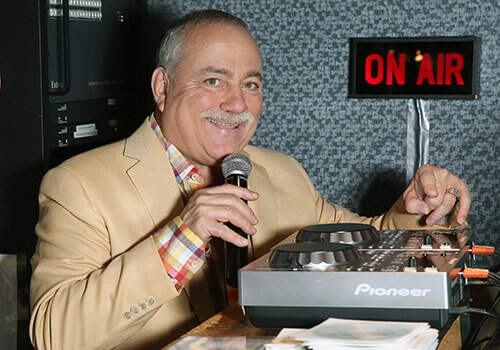 Many know Bob Pantano as the host of the Saturday Night Dance Party in Philadelphia on Oldies98.1 FM Radio, the first and longest-running radio dance party in the nation. A South Philadelphia native, Bob started spinning at the record hops in the late 1960s and then the nightclubs in the 1970s. His professional radio career began in 1971 on WCAM in Camden. Bob also has branched out into television where he co-hosts Happenings, a weekly positive –events TV show aired on various Comcast cable outlets in the Philadelphia area. While Bob has made his mark in the radio and television industries, he also has applied his high energy and spirit by donating his time and talents within The Millay Club and St. John Neumann High School, where he was graduated in 1967. In 1999, Bob was presented the Directors’ Award for his outstanding service to St. John Neumann. The award was recognition for years of giving back, including sponsoring events in conjunction with Newmann Athletic Director, Ed (Buddy) DiCamillo ’65 for the school’s sports program. As the need for scholarship money grew and the school was presented with its $2 million challenge, Bob’s can-do spirit and untiring leadership was instrumental in making thins happen! In 1999, he was the kingpin behind the Mike Goffredo ’49 Memorial (an annual fundraising event in honor of the late Mike Goffredo, a Philadelphia public relations giant) Food and Entertainment Extravaganza. As co-chairman, along with his good friend, Kal Rudman, he oversees every aspect of the highly successful event. Currently, Bob is a member of the President’s Ambassador Club at St. John Neumann High School. He also serves on the Millay Club’s Pirates at the Pointe Committee and provides all of the entertainment on a gratis basis for the Sunday Reunion for the past three years. Outside of the Millay Club, Bob has many Philanthropic endeavors which include playing a crucial role in the promotion and success of the Frank Sinatra mural on the Avenue of the Arts in Philadelphia. Join us in congratulating Bob Pantano ’67 on receiving this well-deserved award and make sure you thank him for his tireless efforts!